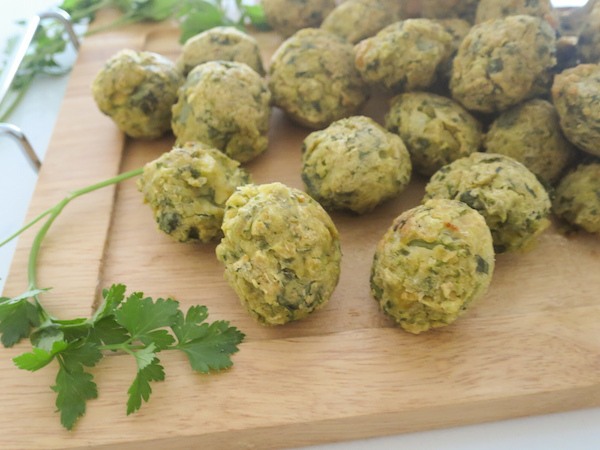 I live in Israel where falafel is wildly available and you can find options from gluten free to coated and spicy versions. 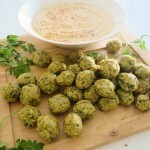 Despite the variety I’m still looking for a all-good-for-you falafel and decided to take it as a mission at home. 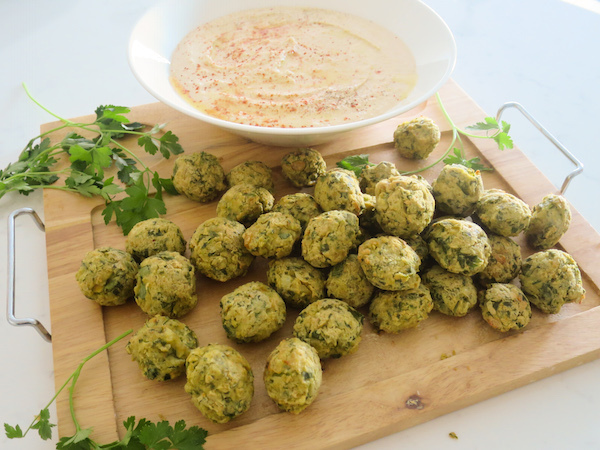 These baked falafels are gluten free and you can make them vegan by replacing the egg with vegan substitute such as soaked flax seeds. The round shape is easily achieved by baking them in a cake pop mold ( I tend to use that mold to all but cake pop baking so it’s a pretty useful tool). The mixture is a bit too runny for shaping them by hand, I’d try using spoons instead. If you bake them on a flat baking sheet, you should leave some space in between in case they won’t keep the shape and becomes patties instead of balls. If the balls are too soft for your liking, you can brush them with some extra oil and continue baking another 10 minutes – that’ll give them to familiar crunchy texture. If you do try them, please let us know how you like them and we’d love to see pictures too! 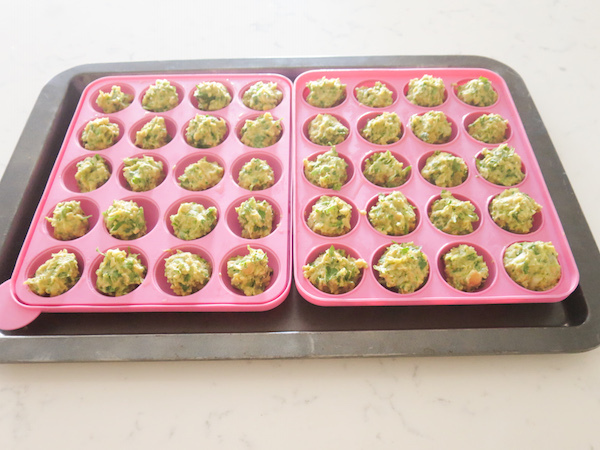 Preheat oven to 205°C (400°F) and prepare the ingredients and a baking sheet placing a silicone cake pop cake mold on top, lightly oil the mold (if you do not have a mold simply use a parchment paper). 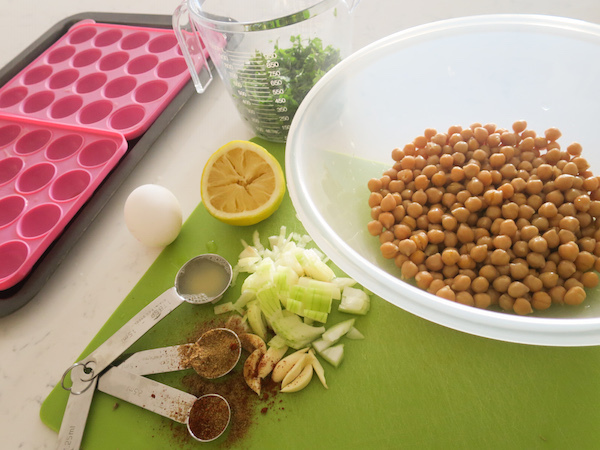 Using a hand blender or food processor, pulse chickpeas, olive oil, lemon juice, onion, garlic and spices until almost smooth. 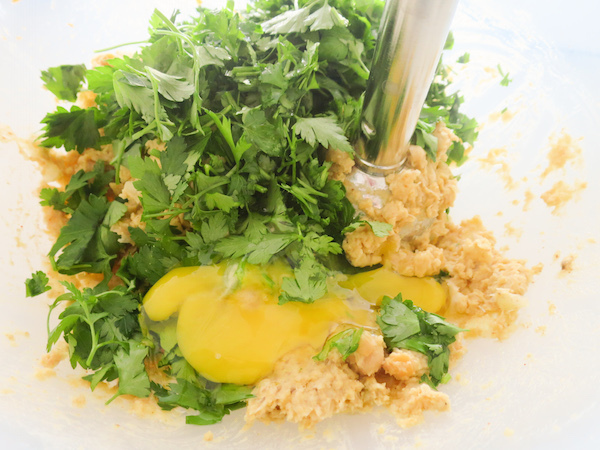 Then add parsley and egg and continue to process until mixed well. 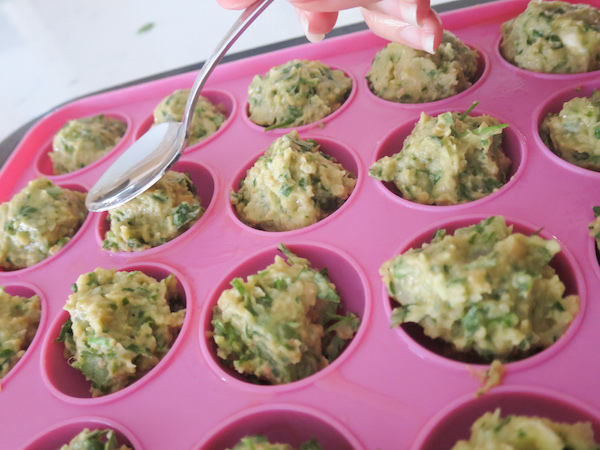 Season the mixture with salt and pepper and spoon into the prepared mold, approximately tablespoon of the mixture in each cup. Place some olive oil in a cup, dip a teaspoon in it and use it to lightly tap the balls to shape them as necessary. 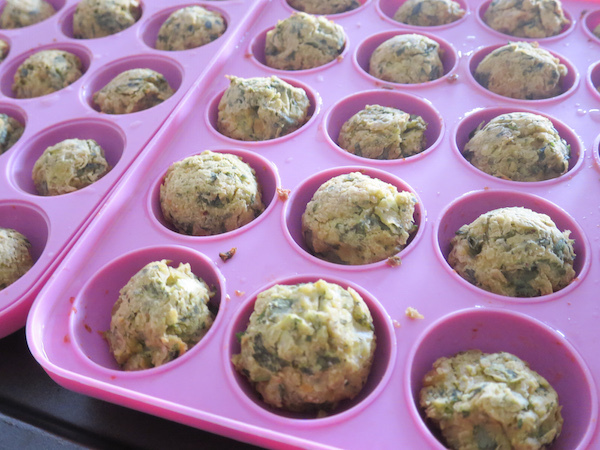 Bake in preheated oven for 20 minutes, then turn them around and continue to bake for another 15 minutes. 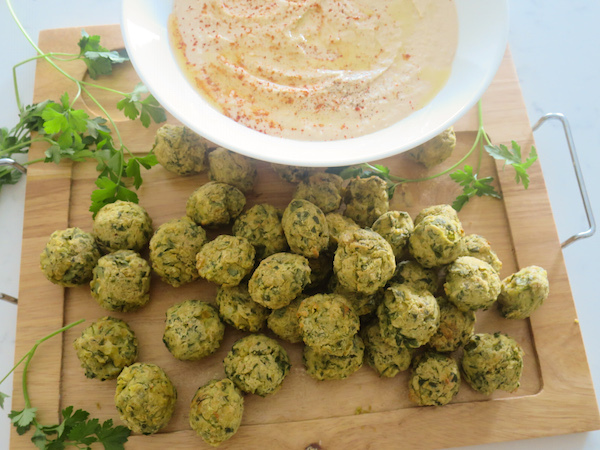 Serve warm with hummus or in a pitta with salad and tahini.